Alice Springs schools will undergo a range of works in a bid to improve teaching and health programs in the early childhood sector. This forms part of the Northern Territory Government’s five year strategy, Great Start Great Future, focusing on the formative years of a child’s development. Braitling Primary School will receive a $3.13 million cash injection, with investment in an early childhood precinct including a shared community area. This is in addition to the $4 million investment to construct a new preschool which is set to welcome students later this year. 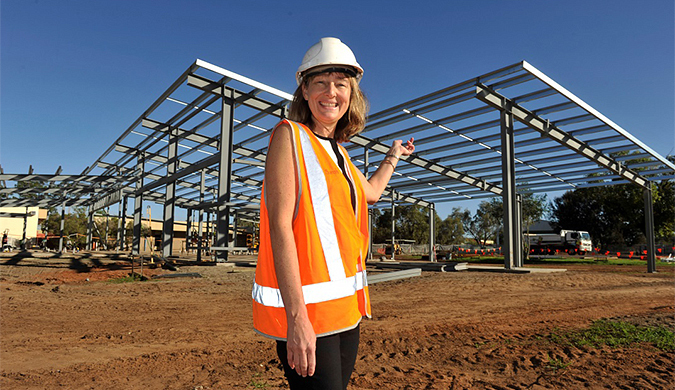 The new $5.5 million Larapinta Child and Family Centre will welcome students for term three this year. The facility will provide education from early childhood through to primary school, allowing siblings of different ages to interact and support each other during their schooling. It will provide 70 new long day childcare places for children from birth to five years and services such as playgroups, immunisation clinics, nutrition sessions, and hearing and vision checks.